Virulent Newcastle disease viruses (NDV) have been present in Mexico since 1946, and recently, multiple outbreaks have been reported in the country. Here, we characterized eleven NDV isolated from apparently healthy wild birds and backyard chickens in three different locations of Jalisco, Mexico in 2017. Total RNA from NDV was reverse-transcribed, and 1285 nucleotides, which includes 3/4 of the fusion gene, was amplified and sequenced using a long-read MinION sequencing method. The sequences were 99.99–100% identical to the corresponding region obtained using the Illumina MiSeq. Phylogenetic analysis using MinION sequences demonstrated that nine virulent NDV from wild birds belonged to sub-genotypes Vc and VIn, and two backyard chicken isolates were of sub-genotype Vc. 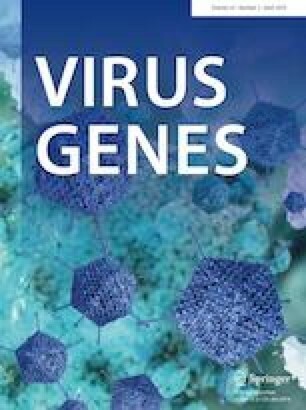 The sub-genotype Vc viruses had nucleotide sequence identity that ranged from 97.7 to 98% to a virus of the same sub-genotype isolated from a chicken in Mexico in 2010. Three viruses from pigeons had 96.3–98.7% nucleotide identity to sub-genotype VIn pigeon viruses, commonly referred to as pigeon paramyxovirus, isolated in the USA during 2000–2016. This study demonstrates that viruses of sub-genotype Vc are still present in Mexico, and the detection of this sub-genotype in both chickens and wild birds suggests that transmission among these species may represent a biosecurity risk. This is the first detection and complete genome sequencing of genotype VI NDV from Mexico. In addition, the utilization of an optimized long-read sequencing method for rapid virulence and genotype identification using the Oxford nanopore MinION system is demonstrated. The online version of this article ( https://doi.org/10.1007/s11262-019-01663-1) contains supplementary material, which is available to authorized users. H. L. Ferreira and T. L. Taylor have contributed equally to this work. We are grateful to Dawn Williams-Coplin and Timothy L. Olivier for their technical assistance. The mention of trade names or commercial products in this publication is solely for the purpose of providing specific information and does not imply recommendation or endorsement by the U.S. Department of Agriculture, ARS, or ORAU/ORISE. The USDA is an equal opportunity provider and employer. Conceived of or designed study: HLF, TLT, CLF; performed research: HLF, TLT, AEA, DVC-E, SLB, JLM-C, IVG, JDV; analyzed data: HLF, TLT, KDM; contributed new methods or models: HLF, TLT; wrote the paper: HLF, TLT, KDM; funding acquisition, DLS and CLA. This work was supported by USDA funding. This research was supported in part by an appointment to the Agricultural Research Service (ARS) Research Participation Program. This research was supported by the Agricultural Research Service (ARS), USDA CRIS (6612-32000-072-00D) and by an appointment to the ORAU/ORISE. All authors declare that they have no conflict of interest regarding the publication of this article. All procedures performed in the present study involving sample collection and virus isolation in chicken embryonated eggs followed the applicable international, national, and/or institutional guidelines for the care and use of animals by the authors.